Land-use development and Transportation both are inter linked with each other and make different types of urban forms. Globally, there are many cities whose forms were shaped by transportation and land use. However, there is neither a systematic approach nor empirical method to understand which kinds of transportation factor should connect land use and which kinds of land-use factor should connect transportation. There is a school of thought either development should be oriented to transit or transit should orient to development. 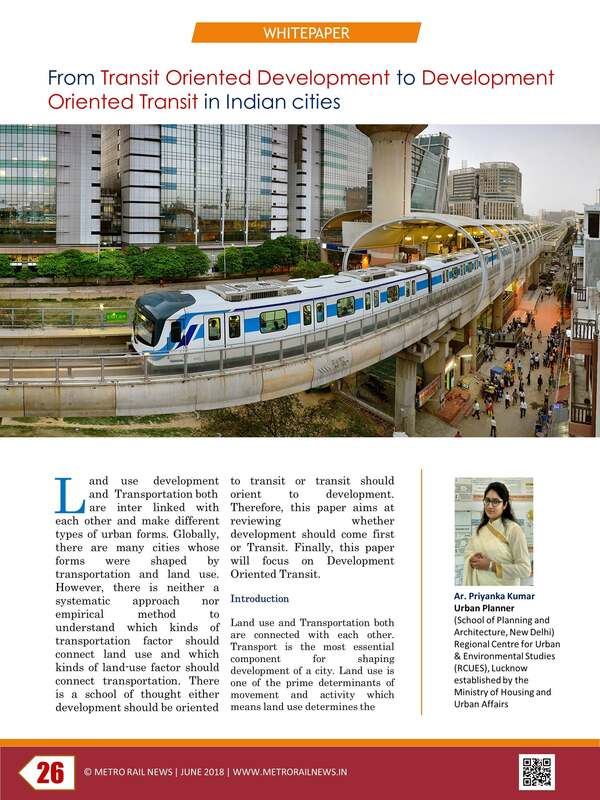 Therefore, this paper aims at reviewing whether development should come first or Transit. Finally, this paper will focus on Development Oriented Transit. Land use and Transportation both are connected with each other. Transport is the most essential component for shaping development of a city. Land use is one of the prime determinants of movement and activity which means land use determines the demand for transport. Land use may change because of increase or decrease in accessibility. Integration of land-use and transit is very essential. National Urban Transport Policy (NUTP) also emphasizes on integrated land use and transport planning. The Integration of land-use and transit may carry out in many ways such as Transit Adjacent Development (TAD), Transit Joint Development (TJD), Transit Supportive Development (TSD) or Transit Oriented Development (TOD) and Development Oriented Transit (DOT). In 19th Century there were concepts like Transit Adjacent Development (TAD), a development which is physically near transit but fails to capitalize upon this proximity to promote transit riding and other economic benefits, which lacks in functional connectivity to transit/ with transit, in Integration of Land use with Transit, in means of station access, and in economic and fiscal benefits. Fremont is a city in California used to be a good example of Transit Adjacent development. As time passes Transit Adjacent Development gradually changed into Transit Joint Development (TJD) is that development which is Joint with transit neither before nor after transit. Tokyo is one of the best examples for Transit Joint Development which did not restrict itself to Transit Joint Development but expanded as a Transit Oriented Development (TOD) as well. Transit Joint Development (TJD) also states that a type of development which occurs because of any formal agreement or arrangement between a public transit agency and a private individual or organization. Hong-Kong is one of the good examples of this type of development. In Early 20th Century, A San Francisco-based Architect, Urban designer and urban planner “Peter Calthorpe”, coined a term Transit Oriented Development (TOD) which defines “A mixed use community within an average 2000-foot walking distance of a transit stop and core commercial area. TODs mix residential, retail, office, open space, and public uses in a walk able environment, making it convenient for residents and employees to travel by transit, bicycle, foot or car”. Transit Oriented Development (TOD) also known as Transit Supportive Development (TSD).One of the earliest and most successful examples of Transit Oriented Development TOD is Curitiba, Brazil. 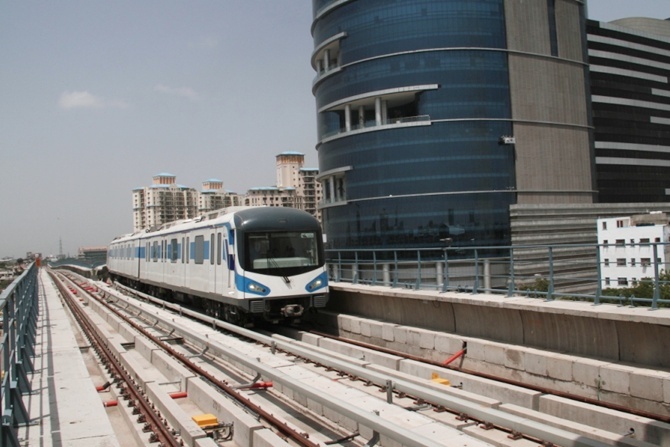 Now Development Oriented Transit (DOT) is defined as a process in which transit is incorporated after development. DOT defines as put development first whereas TOD defines as put transit first. For example Electric streetcar systems evolved after the development of the electric traction motor in the 1890’s in network. But this term little bit explained by Dittmar H. and Ohland G in 2004 as Development Oriented Transit (DOT) is built to serve the development. Here transit follows the development rather than vice-versa. Priyanka Kumar is a notable Architect and Urban Planner. She is working as Urban Planner at the Regional Centre for Urban & Environmental Studies (RCUES), Lucknow, established by the Ministry of Housing and Urban Affairs.